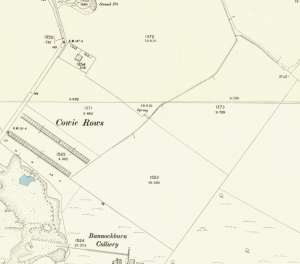 Before 1894, Cowie was a very small village formed of cottages and farmland. The next fifteen years would see Cowie rapidly grow. From 1894-1909, a church, school and bowling green were erected along with formation of a brass band and a pipe band. The reason for this was the Alloa Coal Company. Formed in 1835, they took over the Bannockburn pit from the Carron Company in 1894 and began to exploit the area for coal. Workers were drafted in from nearby towns and by 1924, the population of the village had reached over 3000 people. 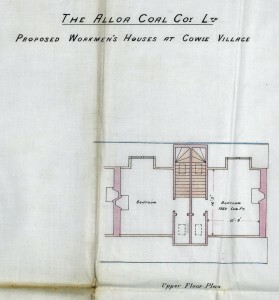 The rise in coal production meant that the Alloa Coal Company had to build more houses for its workers. 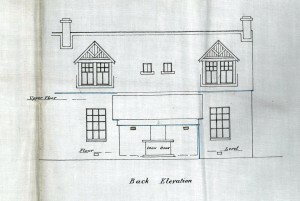 The first miners’ rows in Cowie were Murray Row and Mitchell Row. 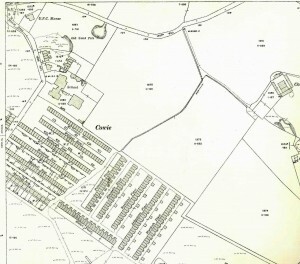 The Ordnance Survey maps from 1896 and 1914 show the significant increase of property in the village with an additional ten rows being built within ten years. 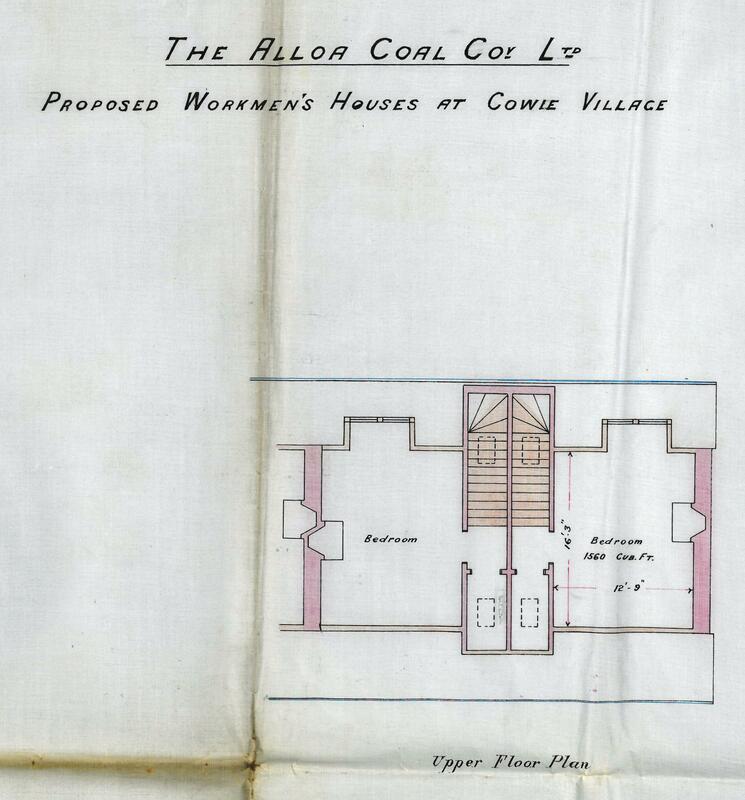 Within the Stirling County Council collection are plans of miners’ rows submitted by the Alloa Coal Company. 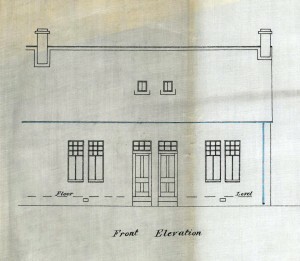 They date from 1904 and show the size and space of the properties available to the workers. The plans show how one building could accommodate two families. 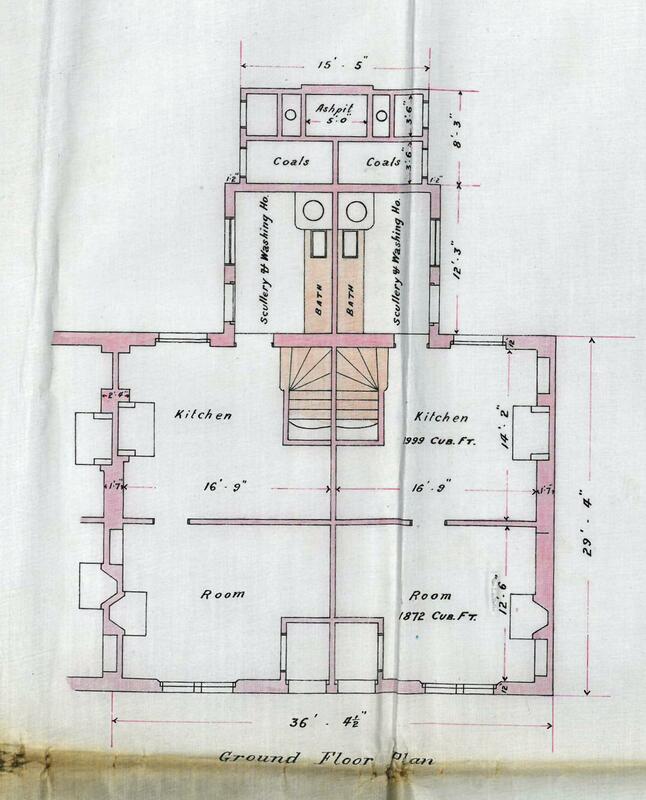 On the ground floor was a kitchen and scullery with the bedroom located on the upper floor. 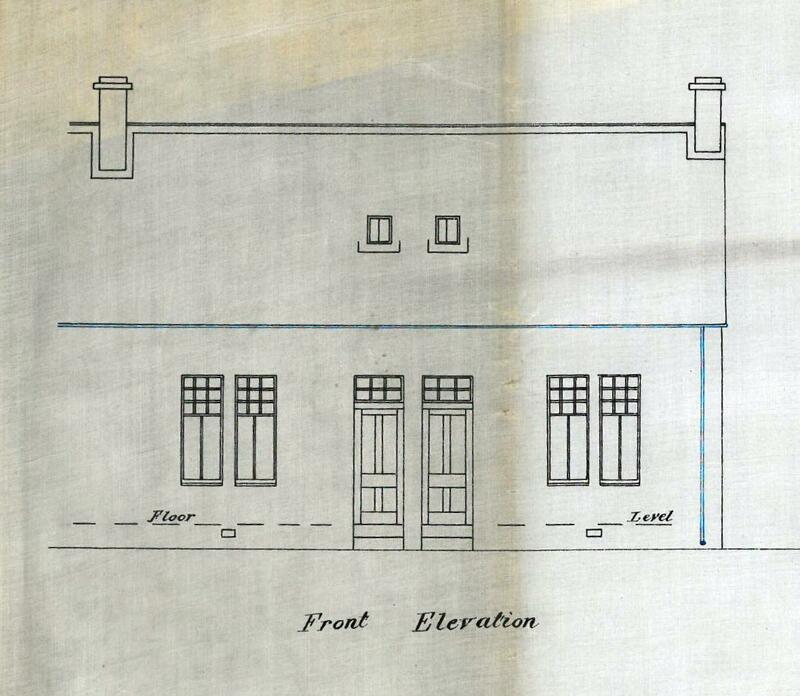 The houses built in 1904 were an improvement on the previous miners’ rows. 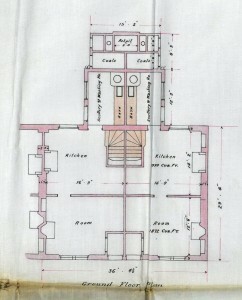 These rows had only a single room, kitchen and a shared washhouse to accommodate the residents. In most instances the properties were overcrowded with drainage and water supply a big problem. The lack of space for families meant that disease could spread quickly due to drainage issues. In 1912, The Central District Committee notes there was an outbreak of enteric fever in the village due to the ‘absence of a proper water carriage system of sewage disposal’. The miners’ row, however, are often fondly remembered by the village. Some properties did have access to their own gardens. A report by Stirling County Medical Officer, John McVail, on the ‘Housing of Miners of Stirling and Dunbartonshire’ noted that two rows in Cowie had direct access to gardens from their house. 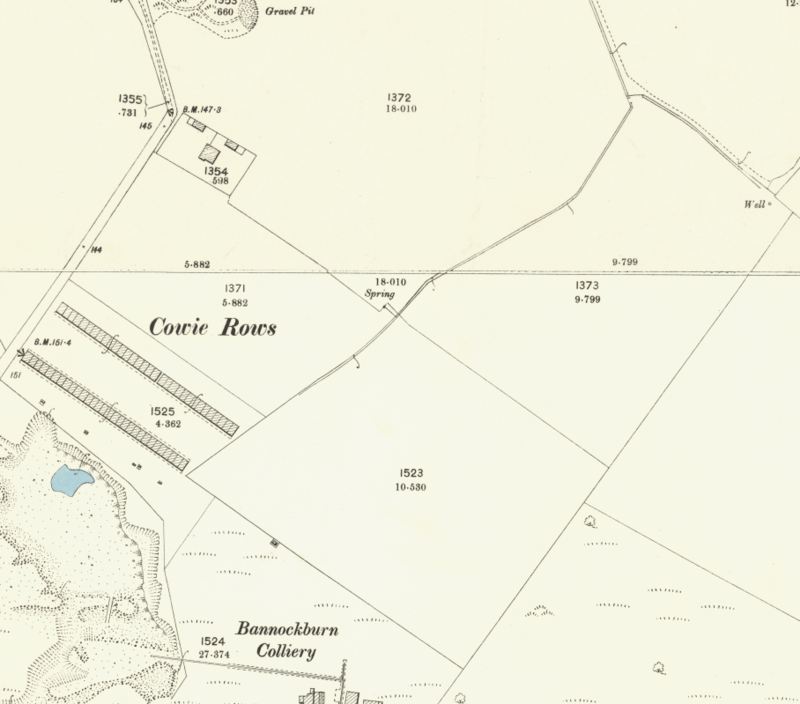 Bannockburn Colliery closed in 1953, although a drift mine did run until 1963. The miners’ rows were demolished soon after and the village has a very different appearance today. My maiden name is Culley. 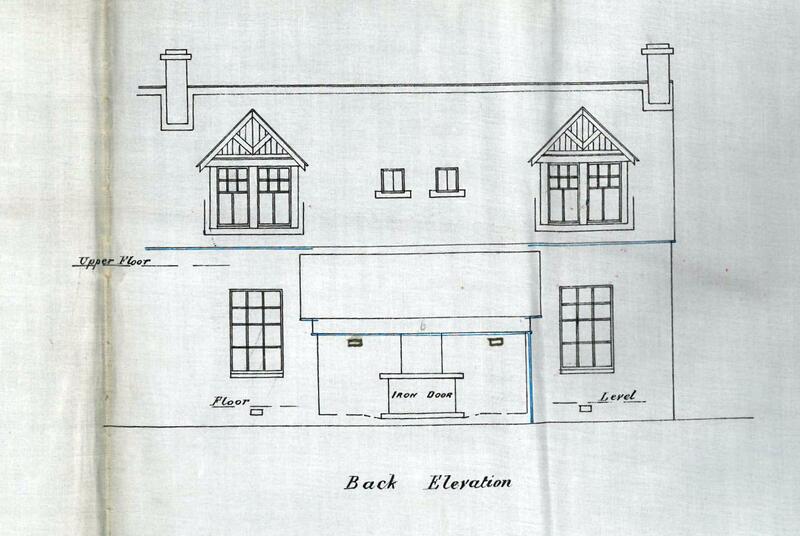 My Grandad lived in a house in Ochil View. My Aubty Jean McQuade lived in Murray row and various other relatives in difderebt rows. It was a sprt of jitcgen witb a toiley off off it. A big ropm with a fire a keytle permanebtly on the boil. A big bedropm and there was the cloakers aka cpckcroahes they wede huge and slept in your shoes. We lived in London so coming to Cowie was such fun. The chippy was great and later on as we grew up going to the bowling club was great. All my relations are buried in Banbockburn. I recall when the new houses wede built and grandad Culley lived at 75 Hylton. Otheds at Weston/Westeytpn abd Scotstoun Road. Haefly abyone left now but l was there recently and aesthetica,ly it was ait looked a better place to live and raise a family l will always remember the rows runnjng up the Berry Hills. Razp picking snd walkibg to Cockiebendies Castle . What an adcenture. Hern to Cockiebendies a fea years ago its ber.en restored and is a venue. My favourite woman from history Mary Queen of Scots is purported to have stayed there??? Great memories. Long live Cowie. Helen Culley.